737-500, 5N-BLE, (26672/2343) operated by Aero Contractors, had 6 engine changes in the previous 6 months. During the last engine change the PRSOV was left locked in the CLOSED position and no evidence could be found of the Pneumatic Leak Test and duplicate inspections having been carried out. On the subsequent flight the crew observed various abnormalities in the pressurisation but continued to climb. When passing 33,000ft the cabin altitude warning sounded and the crew made an emergency descent to 10,000ft and landed safely. Causal Factor The inadvertent failure to discover that the PRSOV was in the LOCKED CLOSED position after the engine change. Contributory Factor Failure to recognise that the number 2 bleed pressure was zero after engine start and subsequent failure to monitor the pressurisation system during climb. Safety Recommendation 2017-019 NCAA should ensure that the activities of flight operations and maintenance departments of Aero Contractors Company of Nigeria Limited are carried out in compliance with the Nig.CARs. On 5th June, 2015, Aero Contractors Company of Nigeria Ltd. scheduled commercial flight NIG181, a Boeing 737-500 aircraft with registration number 5N-BLE (26672) from Lagos to Kaduna, took off at 1828hrs with 108 passengers and 5 crew on board. The First Officer was the pilot flying. The flight operated on an Instrument Flight Rules (IFR). ATC cleared NIG181 as follows: to climb and maintain FL350 after departure, to make a right turn on a heading of 330o, thereafter instructed to make a further right turn on a heading of 360o and cleared on course via IBA1. During the initial climb, the Captain observed that the cabin rate of climb was zero but later indicated normal. However, the First Officer reported that on reaching FL150, he observed that the cabin altitude was indicating about 3000ft and since this occurred at low altitude, they decided to monitor during climb. Approximately 23 minutes after airborne and climbing through FL330, the cabin altitude warning horn came on and the Captain took control of the aircraft. The flight crew donned their oxygen masks, set the regulators to ON/100% and crew communication was established as required by the procedures of the approved Quick Reference Handbook (QRH) and Airplane Flight Manual (AFM). According to the account of the purser, she went into the lavatory and observed that the sink was full, which she tried to drain. She got out of the lavatory and observed that her oxygen mask had dropped. She then checked the cabin area and observed that the business class passengers’ oxygen masks had also dropped. She immediately took her seat, donned her mask and briefed the passengers. Thereafter, she called the cockpit but there was no response. Emergency descent to an altitude of 10,000ft was initiated. The Captain briefed the purser and made an announcement to inform the passengers that the flight was being diverted to Abuja. The aircraft landed safely in Abuja at 1932hrs, taxied to the ramp and parked. The chocks-on time was 1940hrs. Both crew and passengers disembarked without injury. It is pertinent to note that 5N-BLE has a history of frequent engine changes. It had 6 engine changes in 2015. On 26th May, 2015, #2 engine with serial number 721707 was replaced due to engine surge, with engine serial number 858904 at Abuja. On the 5th of June, 2015, #2 engine with serial number 858904 was replaced due to low hours remaining, with engine serial number 725373, in Lagos at Aero Contractors facility. The incident flight was the first commercial flight with this installed engine. The flight recorders were not recovered by AIB because the aircraft had been returned to service before AIB was notified of the occurrence. The Quick Access Recorder (QAR) data was downloaded by the operator and a copy of the download was sent to AIB. The crew donned their oxygen masks as required, and the passenger oxygen masks were deployed and used. The aircraft made a safe landing in Abuja at about 1932hrs; both crew and passengers disembarked normally and without injuries. The aircraft departed Lagos at 1815hrs as flight NIG181 en-route Kaduna with 113 persons on board including 5 crew. The First Officer was the pilot flying while the Captain was monitoring. The After Take-Off Checklist (Operations Manual Part B, Section 2.1.10) requires the crew to confirm that the engine bleeds are ON. This would have called attention to the low duct pressure from engine #2. According to the Captain, at about twenty three minutes after airborne, the cabin warning horn sounds. The crew then accomplished the appropriate checklist (Cabin Altitude Warning) as contained in Aero Contractors QRH, Section 2, sub section 2.1. The crew on observing that the cabin rate of climb was not normal should have followed the provisions of Aero Contractors S.O.P Section 3.6.2.2 (Unpressurized and Partially Pressurized Flights). If this procedure had been successfully carried out and the cabin altitude controlled and maintained within the prescribed schedule, the flight could have continued normally. Otherwise, an air return would have been necessary or the aircraft diverted to the nearest suitable aerodrome. The purser observed that the passenger oxygen masks had dropped on her return from the lavatory. She immediately took her seat, donned her mask and briefed the passengers. Thereafter, she accomplished the appropriate actions. She later briefed the Captain on the situation of the cabin accordingly. These actions by the purser were in line with standard operating procedure as contained in Aero Contractors Operations Manual Part E (Cabin Crew Procedures and Instructions, Section 2.7). It is pertinent to note that 5N-BLE has a history of frequent engine changes. On the 26th of May 2015, #2 engine with serial number 721707 was changed in Abuja due to a surge problem and replaced with engine, serial number 858904. The aircraft was then ferried to Lagos. On 5th June, 2015; the day of the incident, #2 engine with serial number 858904 was changed due low time remaining and replaced with another engine, serial number 725373. According to evidence available to AIB, this incident occurred on the first commercial flight after this engine change. The engine post-installation procedure requires that the PRSOV should have been checked after the engine change to confirm that it is in the OPEN position. 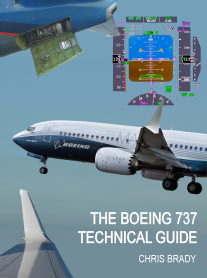 The engine installation procedure as contained in the AMM Section 71‐00‐02 requires a series of post-installation tests to verify correct operation. One of these tests is the Pneumatic Leak Test (AMM Section 36-11-05-705-16). This test requires that the PRSOV be manually wrenched to the OPEN position. The PRSOV will remain open when there is pneumatic pressure upstream of the PRSOV. There is no evidence to show that these procedures were followed by the maintenance engineers during the engine installation. Also, there was no evidence that a duplicate inspection was carried out to confirm that appropriate procedure had been followed during the engine installation. If these procedures had been followed, it would have been discovered that the PRSOV was still in the CLOSED and LOCKED position and this incident would not have occurred. Therefore, this action contributed to the occurrence. The Captain and the First Officer were qualified to conduct the flight. The flight was the first flight scheduled for the crew to operate on the day of occurrence. The Captain reported that during the initial climb, it was observed that the cabin rate of climb showed zero indication but later became normal. The First Officer also reported that on reaching FL150, he observed that the cabin altitude was indicating about 3000ft and since this occurred at low altitude, they decided to monitor during climb. The flight crew perceived a pressurization problem during initial climb out. However, they did not recognize the nature of the problem. 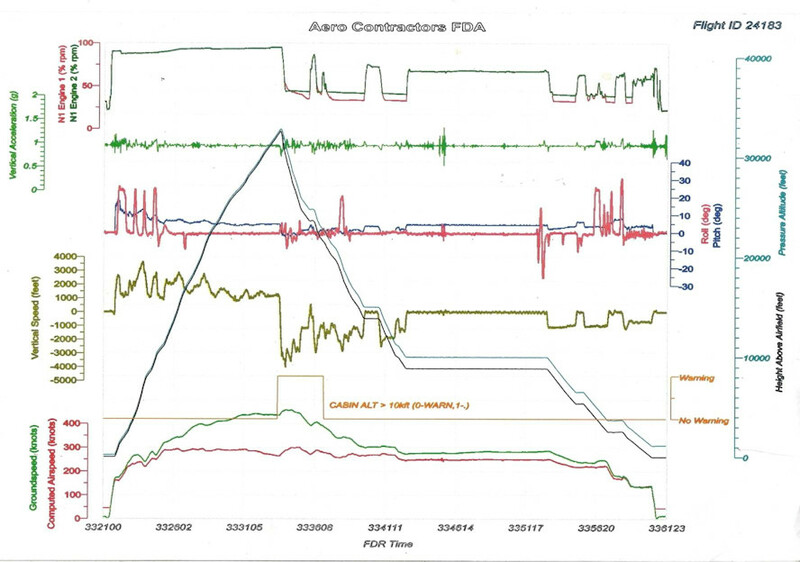 At different occasions, the crew observed abnormalities in the system as evident from these statements: “the cabin rate of climb showed zero indication but later became normal” and “on reaching FL150, he observed that the cabin altitude was indicating about 3000ft and since this occurred at low altitude...” but they ignored their observations and decided to monitor while the problem persisted until when the horn sounds. At FL150 when the crew observed and noticed the situation, it could have been appropriate to switch to MANUAL mode and control the cabin altitude manually. The crew did not exhibit perception skills; they were aware of the problem but unable to detect and understand the nature of the problem. They failed to demonstrate their skills of awareness, observation, detection and understanding and therefore, were unable to recognize and solve the problem. This action by the crew contributed to the occurrence. The aircraft had a valid Certificate of Airworthiness. Flight NIG181 was cleared by ATC to climb to FL350 on take-off. The pressurization warning horn sounds at FL330, 23 minutes into the flight. The passenger oxygen masks deployed at FL330. An attempt was made to manually control the cabin altitude but the pressure did not hold, hence emergency descent was carried out to an altitude of 10,000ft. At FL100, the Purser briefed and made passenger announcement that the flight was being diverted to Abuja. There were no fatalities and no injuries sustained. The crew were qualified and properly certified to carry out the flight. The flight crew perceived a pressurization problem during initial climb out. However, they did not recognize the nature of the problem. The crew ignored their observations about the initial cabin altitude climb and decided to monitor while the problem persisted until when the horn sounds. Flight NIG181 was the first flight after #2 engine was changed. The aircraft was dispatched with the PRSOV in the LOCKED CLOSED position. The PRSOV was found in the LOCKED CLOSED position after the engine change.